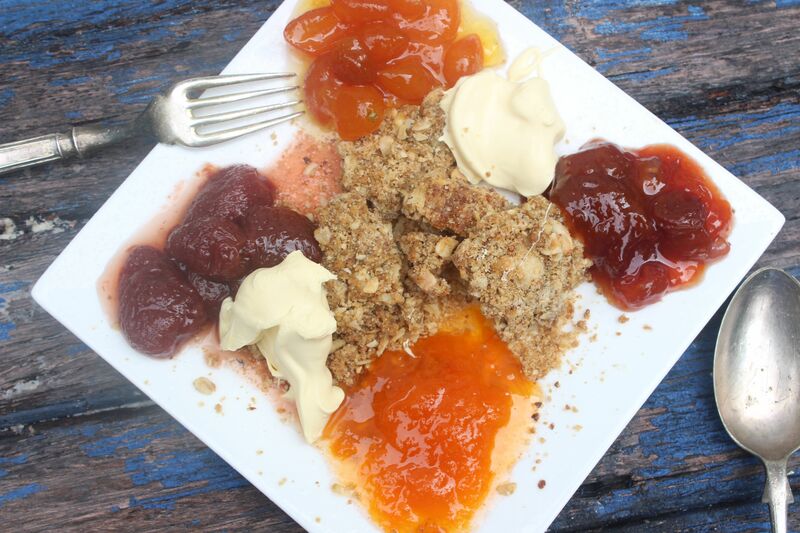 This is a quick fix dessert which utilizes home made – or store bought – preserves and a crumble topping. 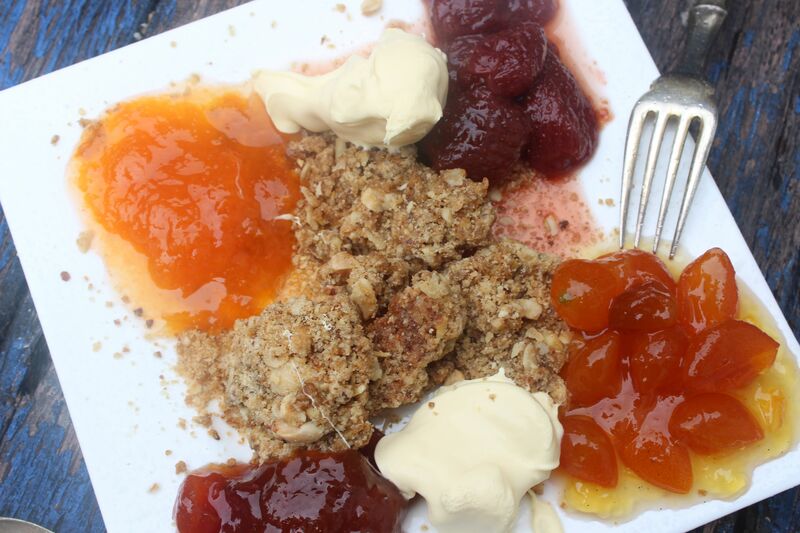 Create a simple deconstruction by scattering baked crumble on a plate with a few tablespoons of conserves and some double cream or thick yoghurt. Remove from oven, and when cool, break up any large pieces. It’s important to have a combination of small and large crumble pieces. You can use the crumble as is or freeze it and it keeps for ages! Posted in Biscuits and Slices, Dessert, Jams, Marmalades, Conserves and Chutneys, Sweet Food and tagged conserves, crumble, deconstruction, easy dessert. Bookmark the permalink.